As I check your email address in our records, I see that there is only a guest account with no forms. However, when I check the form which is embedded in the contact page of the web site provided there is an account Mortonb registered using mo*****tes@gmail.com. 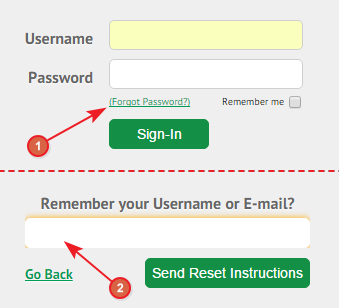 If you have forgotten the password, you may request for a password reset from the Login screen so that the password reset instructions shall be sent to the email address registered. is the account name and user name the same? Yes. The account name and username are the same. You can try logging into your account by using username or email address.